If I could give this book 10 stars, I would. 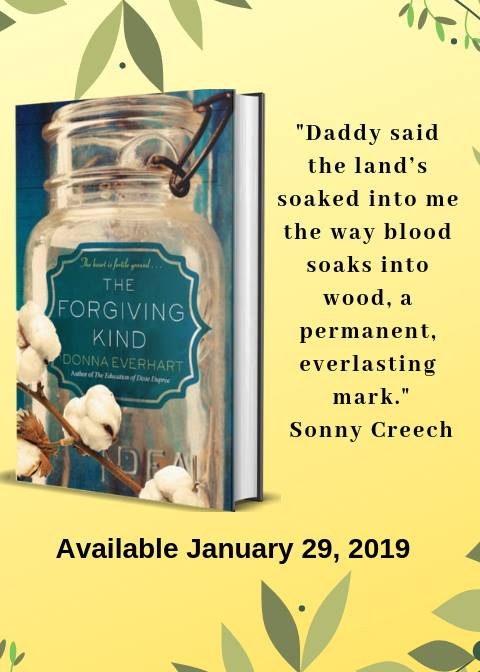 Donna Everhart has once again given us a young main character who in many ways is wise beyond her years as she tells us the story of her early years. The setting is rural NC in the 50s. The descriptions are so well done that you can feel the heat when the family is planting cotton and chopping weeds and you can feel the joy of the rain after a drought. The characters are so well done that you can feel their tiredness after a long day in the fields, you can feel their pain when their father dies and their fear of the person that they hated. You will know them so well that you'll laugh with them and definitely cry with them as you cheer them on throughout the novel. In other words, this is a must read and I highly recommend it. Twelve-year-old Sonny lives on a cotton farm with her parents and two brothers. Like her father, she feels a real connection to the land and loves her life there. When an accident causes the death of her beloved father, the family is unsure whether they will be able to continue farming until a neighbor offers to help them and then share the profits at the end of the season. When it turns out that the neighbor is interested not only in the land but in her mother, Sonny and her brother know that life is about to get more difficult but they have no idea how terrible their lives will become. This is a story about the survival of the family, love, and forgiveness. 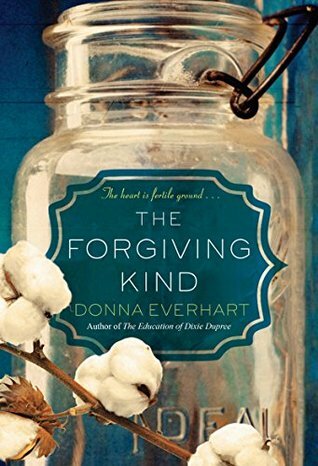 The Forgiving Kind is not only beautifully written but is also very well researched. The author has everything well suited to the time period of the 50s and is very knowledgeable about cotton farming. Most importantly is that this is a book you don't want to miss. It's going to be one of my top books of the year. Nice review. I'll have to give this novel a closer look. Great review, you've certainly made me consider this one! Sounds like one you really liked. Your review has me wanting to check this book out. Great excerpt! Thanks for sharing, and for visiting my blog. Adding to my TBR right now! !